Breakfast. 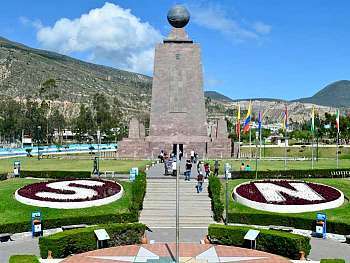 Departure from Quito through the ¨Avenue of the Volcanoes¨ admiring the beautiful Andean landscape this is a great opportunity to take pictures, brief stop at the Cotopaxi National Park (entrance is not included), arrival to Riobamba and accommodation in a typical hacienda of the region. *If it is not operating the Cotopaxi National Park due to volcanic activity, you will visit the Quilotoa volcano and the unique turquoise lagoon situated in his crater. After breakfast departure to the train station located in Alausí. 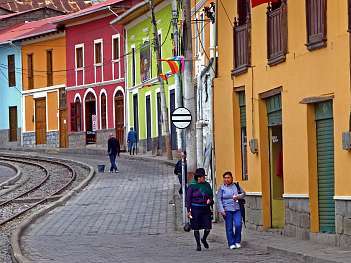 From here we´ll enjoy a train ride towards the famous ¨Devil’s Nose¨ (a magnificent work incrusted in the Andes), return to Alausí (train ride takes approx. 2 hours). After the train, depart to Guayaquil. On the way you will have special landscape with the cacao, banana and wood plantation and teak wood; we will pass by the Huigra town, El Triunfo, Fatima Virgen and Durán. You will arrive to Guayaquil for your overnight. Breakfast. City Tour Guayaquil. 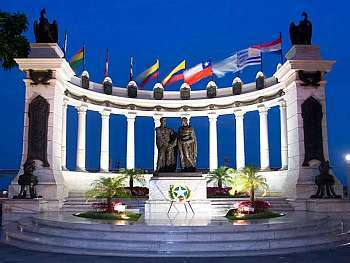 Traveling along the main streets and avenues of the city we will visit the Seminario Park, The Guayaquil embankment, La Rotonda; the colonial neighborhood of Las Peñas, where we can admire the magnificent wood architecture. From here we can take a panoramic view of Guayaquil and the Guayas River. • Excursion by the “Avenue of the Volcanoes” with a brief visit to the Cotopaxi National Park.